RN to BSN Online | Colorado Mesa Univ. The online RN to BSN program at Colorado Mesa University offers professional nurses the opportunity to grow and develop critical competencies in evidence-based practice and insight into contemporary heath care challenges. Taught by exceptional faculty, this rigorous program prepares RNs who have met state licensure requirements to practice as professional nurses, pursue graduate education and assume leadership roles. The RN to BSN online program is an affordable, flexible path to achieving academic and professional advancement. The program is 31 upper division nursing credits which can be taken with 8-week sessions. Classes can be taken each session or students can go at their own pace. Additional outstanding essential learning courses may be required to satisfy the total requirement of 120 credits for a BSN. We are here to make this process as seamless as possible. Please contact us at 970.248.1232 with any questions. Why choose Colorado Mesa University online? Academic excellence. CMU's highly regarded program integrates nursing theory, practice and science to prepare a highly competent nursing professional for practice in a variety of health care settings in the state of Colorado and nationally. Flexible. CMU offers five start dates each year, compared with only two at most universities. Accelerated. 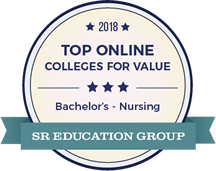 Full-time students can complete the nursing major coursework in as few as 18 months (excludes any general education requirements necessary for degree completion). High quality nursing faculty. Our nurses are well-prepared by our faculty. 90% of Colorado Mesa traditional BSN graduates pass the NCLEX exam on their first try. The RN-BSN program option compliments the same program quality. Enhanced critical thinking, leadership, research and management abilities to open doors in your nursing career. Knowledge you can use right away to provide more holistic care to patients. Deeper insight into contemporary issues like gerontology, informatics and the emerging role of nursing in community-based care. Colorado Mesa University (CMU) is accredited by the Higher Learning Commission. More information about accreditation. 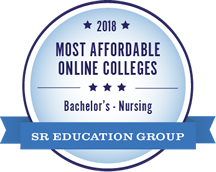 The baccalaureate degree program in nursing, master's degree program in nursing and Doctor of Nursing Practice program at Colorado Mesa University are accredited by the Commission on Collegiate Nursing Education, 655 K Street, NW, Suite 750, Washington, DC 20001, 202-887-6791.